The newest edition to our R65 approved, UK manufactured TITAN range of lightbars is here. The new Hurricane TITAN is manufactured to your exact requirements. Choose from 6 different lengths and a range of optional extras to find your perfect lightbar. Just some of the possible Hurricane TITAN combinations can be found illustrated in the PDF below. For more information please contact our sales team or your official LAP distributor. Introducing the VLED, our brand new range of R65 approved LED warning lights. 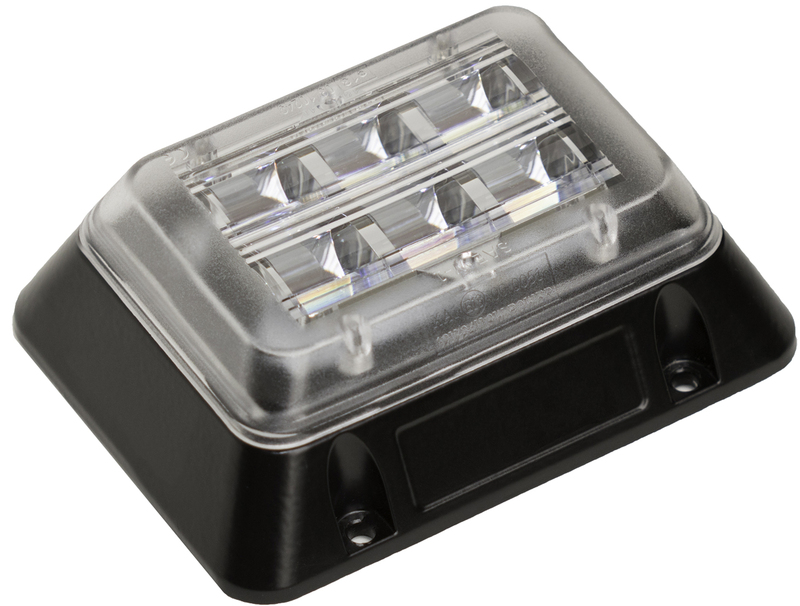 The VLED is manufactured in 3 LED, 4 LED and 6 LED models each with 5W high powered amber LEDs. Single, double and quad flash all meet R65 approval and each lighthead is IP67 ingress protection rated. Contact our sales team or your LAP distributor for more information on the new VLED range. 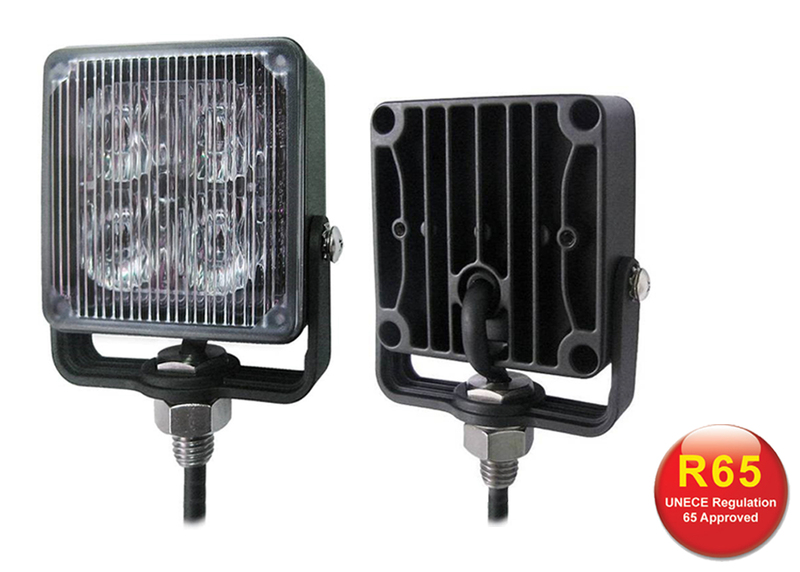 Our brand new, UK manufactured LKB range of LED beacons is now available. The LKB range meets R65 approval in amber and clear lenses and is manufactured with 8 x 1W LEDs. Set to double flash only and with 120 flashes per minute, the LKB is an effective and simple way of adding R65 approved amber lighting to any vehicle or application. Contact your LAP distributor or our sales team for more information. 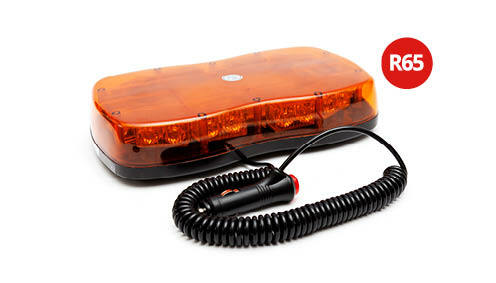 We are pleased to announce our new ELED range of amber LED warning lights is now available. The ELED range is manufactured in 4 & 6 LED options and is EMC (ECE R10) approved. Contact your LAP Electrical distributor or our sales team for more product information. We will be exhibiting at the Traffex 2019 show at the NEC in Birmingham between 2-4 April. Visit us on stand G008 where we will be showcasing all our new products for 2019. The exhibition is the UK's largest show in the highways and traffic engineering sector. For more information please visit the official Traffex website. We are exhibiting at this year's Commercial Vehicle show at the NEC, Birmingham. Visit us on stand 5G84 between 30th April - 2nd May. For full exhibition details, please visit the Commercial Vehicle website. Our new LAPCV113 LED rear combination lamp is now available. The newest addition to our extensive commercial vehicle range, the LAPCV113 is manufactured with 'progressive' style indication. All functions such as stop, tail in indicator are ECE approved and each lamp is supplied with a traditional bowl style fixing. Contact us or your nearest LAP dealer for more information and pricing. 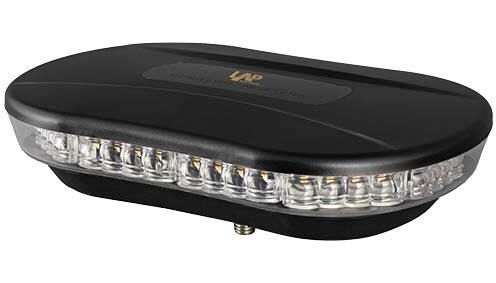 Our new ECE R65 approved LAP1556AC/SP Jupiter LED lightbar is now available. Manufactured with 56 x 0.5W amber LEDs and a single point fixing, the LAP1556AC/SP is also supplied with a four point fixing conversion kit. Contact our sales team or your LAP distributor for more information. 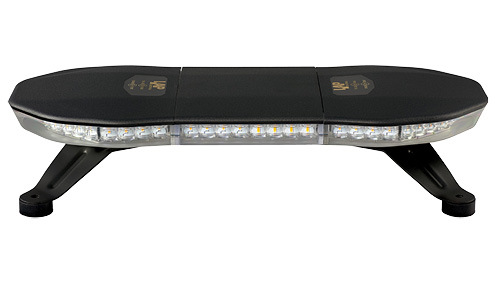 Our new LAP1040AC mini LED lightbar from the Eclipse LED lightbar range is now available. Manufactured with magnetic or single-point fixings and 40 x 0.5W high power amber LEDs. Contact your LAP distributor or our sales team for more information about the LAP1040AC or any other lightbar from the Eclipse lightbar range. Our new SLED12 range of LED warning lights are now available in amber, blue and red models. All models meet ECE R65 Class II approval and each manufactured with 12 ultra-bright LEDs. The low profile design of only 10mm and aluminium housing/polycarbonate lens means the SLED12 is discreet and less prone to damage through impact. Contact our sales team or your LAP Electrical distributor for more information. 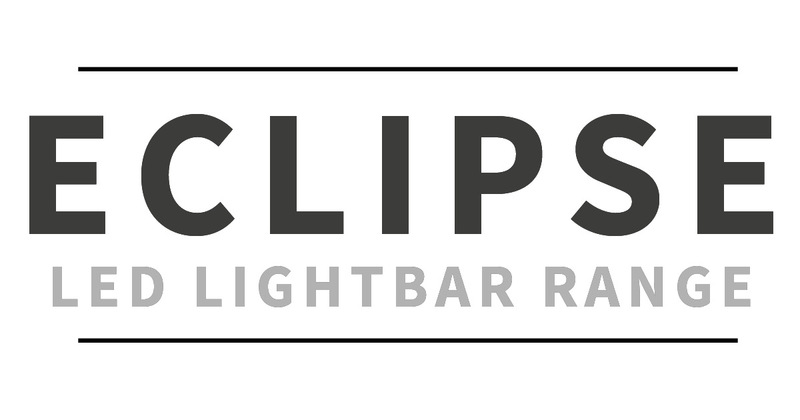 Our extended range of Eclipse LED lightbars now includes LAP3488AC (860mm) and LAP47120AC (1181mm). 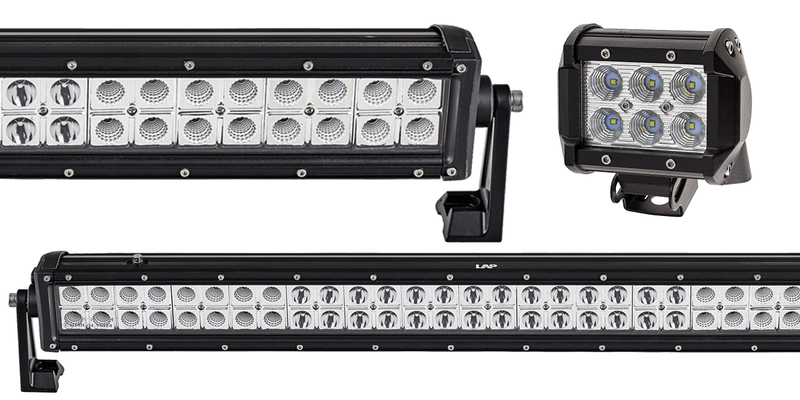 The two new lightbars join the existing LAP2156AC (540mm) to extend the Eclipse range of R65 approved LED lightbars (single flash). Contact us or your LAP Electrical distributors for more information. Alternatively have a look at the Eclipse page from our new 2018-2019 catalogue. 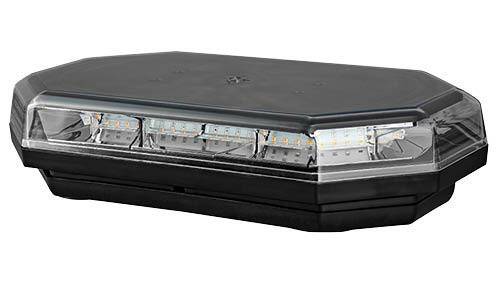 Introducing our new ECE R65 approved LED lightbar LAP2156AC. 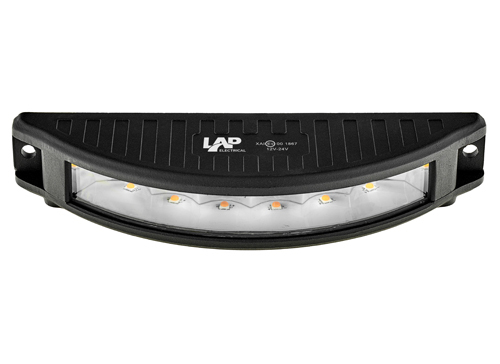 Manufactured with 56 ultra-bright amber LEDs, the LAP2156AC is perfect for all vehicles and applications. 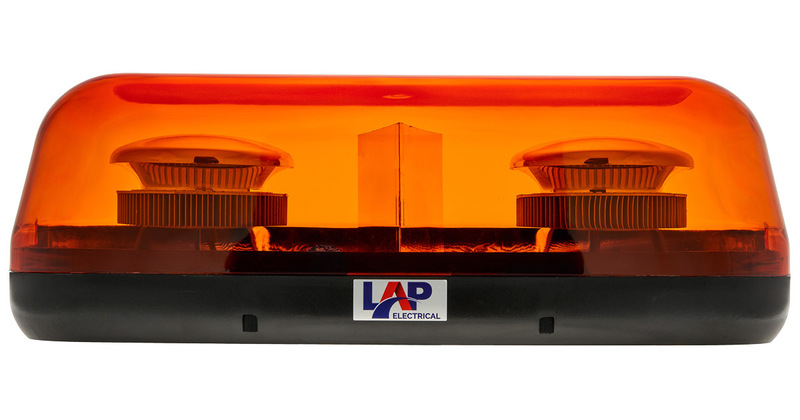 Only 540mm in length, IP67 rated ingress protection and dual voltage (12/24V), the LAP2156AC is an economical solution when R65 approved amber warning light is required. Please contact us or your local distributor for more information. 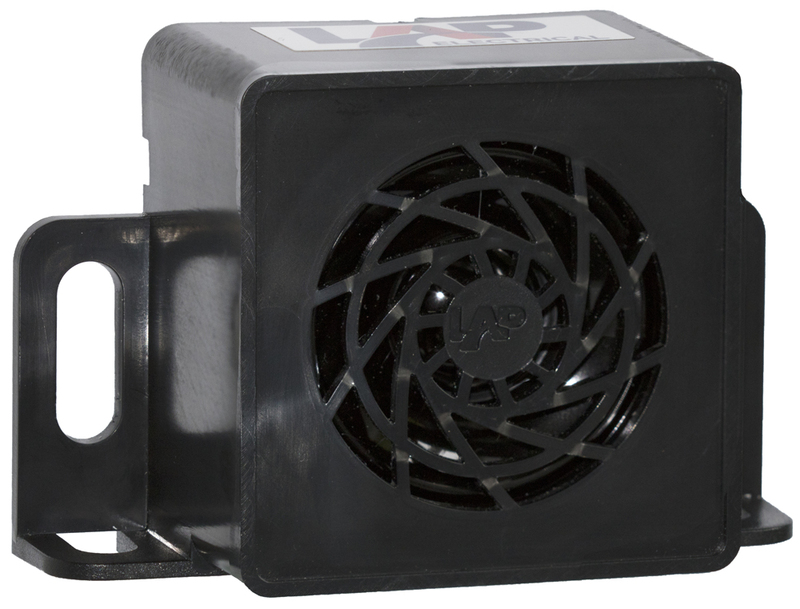 Our new FKL15A/L & FKL15R/L LED line distance warning lights are available. The FKL15A/L amber model has been designed for 12/24V vehicles such as road sweeping vehicles. The FKL15R/L red model is ideal for material handling vehicles such as forklift trucks operating between 12-80V. Please contact your LAP distributor or our sales team for more information. Please also see our products in our 'Material Handling' section. LAP Electrical is proud to announce that we have been certified by NQA to the latest IATF 16949 Automotive Quality Management Standard following on from our existing accreditation to the older TS 16969 standard. IATF 16949:2016 builds on top of the international ISO 9001:2015 standard and includes specific requirements for manufacturers in the OEM Automotive Supply Chain. IATF members include BMW Group, FCA US LLC, Daimler AG, FCA Italy Spa, Ford Motor Company, General Motors Company, PSA Group, Renault and Volkswagen AG. IATF 16949 is the cornerstone of our focus on manufacturing excellence - we are constantly working to reinforce the reputation for quality and reliability that the LAP brand carries across all of our products. 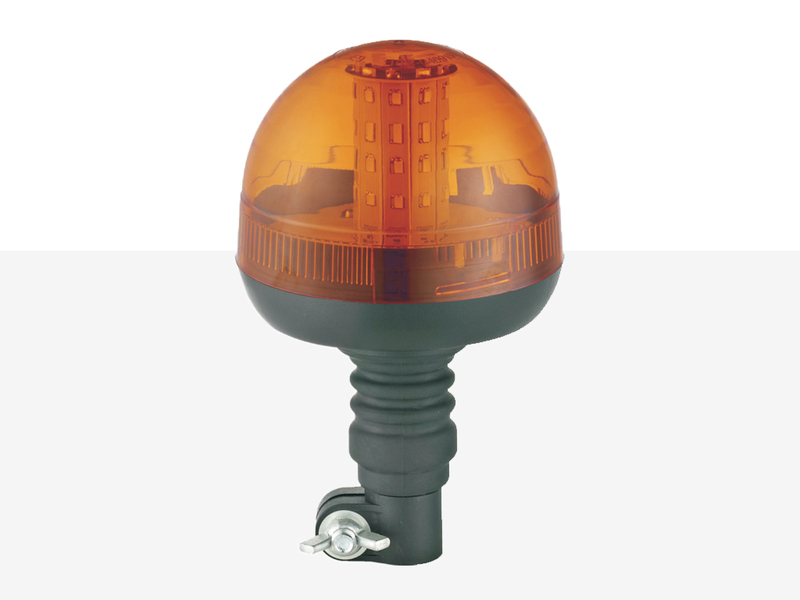 Our TLED slimline range of amber warning lights are only 9mm in height. 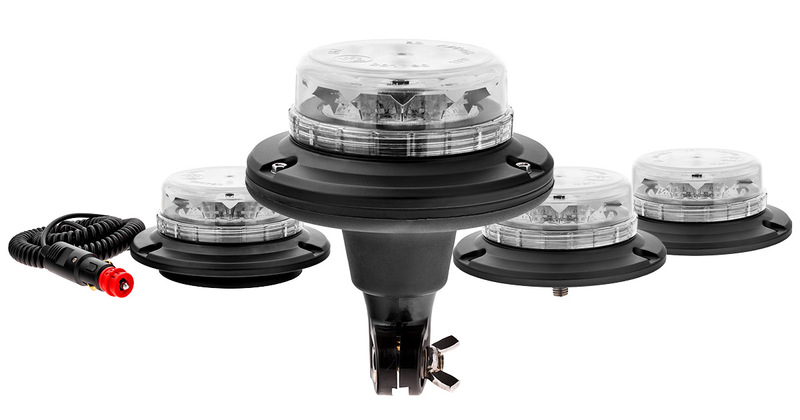 Available in 3 x LED, 4 x LED and 6 x LED options and all EMC (ECE R10) and ECE R65 approved. Contact us or your nearest official distributor for more product information and availability. 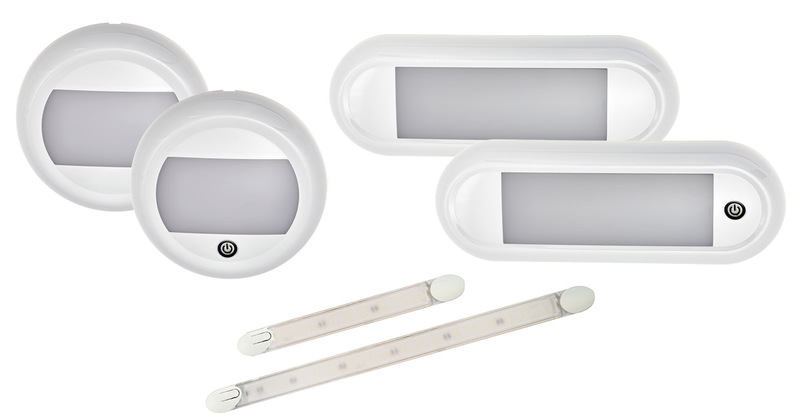 We are pleased to announce the release of our new & extended range of LED interior lighting. In addition to our traditional strip style lights, we now also offer round and oval styles, both available with and without switches. Our full interior lighting range is EMC (ECE R10) approved and the easy-fit design means fitting is incredibly straightforward. Please contact our sales team our your nearest LAP distributor for more information. Our new clear lens/amber flash LPB range of LED beacons is now available. The low profile and discreet design means the LPB beacons are less prone to damage through impact. The clear lens version of our popular amber lens LPB offers impressive amber warning flash which is also ECE R65 approved. Please contact us or your official distributor for more information. 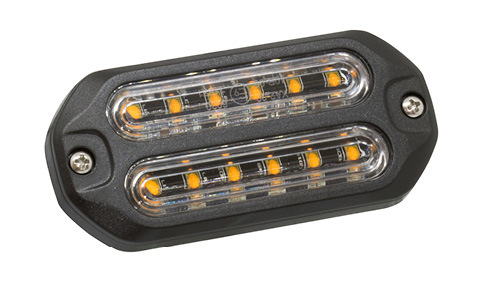 Our brand new CLBT162A/SP LED lightbar is ECE R65 approved and offers a simple and economical solution when approved amber warning light is required. 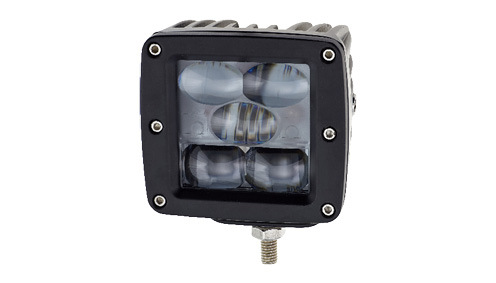 Manufactured with 2 x 45 LED heads, the CLBT162A/SP flashes 120 times per minute and is incredibly easy to install. At only 400mm in length, our new lightbar is small but effective. It's also backed by our 2 year warranty and meets IP56 ingress protection. Contact us or your local LAP distributor for more product information. 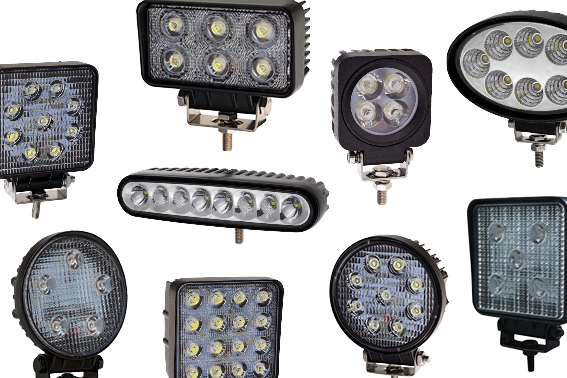 Introducing our new range of LED commercial vehicle and interior lighting. Check out our new rear combination lamps, marker & outline lamps, flexible stalk lamps and interior lighting products, all available in handy point-of-sale hanging blister packs. All products meet the necessary ECE approvals so you can be sure you're using and fitting quality products. Please visit the new CV section on our website for more product information. Alternatively contact your nearest LAP distributor or get in touch directly for more details. Check out our brand new range of LED worklamps, all manufactured with 3W ultra-bright LEDs for brilliant light output. Available in a wide range of styles from the traditional square and round models to new low-profile and mini designs, the new range ensures there is a worklamp for all vehicles and applications. Please contact your nearest LAP distributor or our sales team for more information. 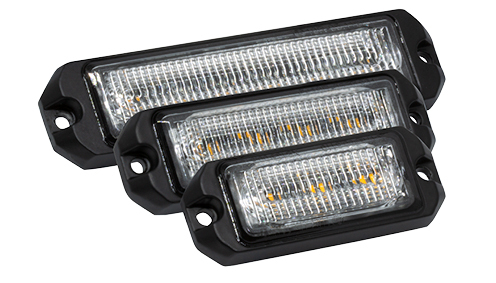 Our popular LED worklight bars are now available in shorter 4 inch, 8 inch, 12 inch & 22 inch straight models. 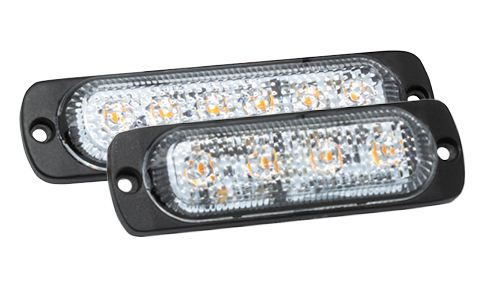 The LED worklight bar range offers impressive light and is ideal for a variety of vehicle and applications. In addition to the four new models, the BB & SB range also includes longer curved and straight models in 31”, 41” & 50” lengths. Please contact us or your nearest LAP distributor for more information. We are pleased to announce the release of the TLED6A, our brand new slimline 6 x LED amber warning light. The TLED6A meets EMC (ECE R10) and ECE R65 approval and is only 7.6mm in height. The slimline design is modern, discreet and helps minimise the risk of damage through impact. Each TLED6A is also supplied with a quick-mount self-adhesive gasket to reduce the number of drilled holes needed for installation. With IP67 ingress protection, 24 month warranty and very competitive pricing, the new TLED6A is a quality and affordable addition to the LAP warning module range. Please contact us for more information or get in touch with your nearest distributor. We are pleased to announce the release of the new DLED6B; a blue version of the popular heavy-duty DLED6 range. The DLED6B is EMC (ECE R10) approved and is manufactured with a hard-wearing aluminium base, ideal for minimising the risk of damage by impact. Manufactured with 6 x 3W blue LEDs and a polycarbonate lens, the complete DLED6 range meets IP67 international protection standards and is backed by our 24 month warranty. Up to 4 x DLED6B can also be linked for synchronised or alternate flash. Please contact us or your nearest distributor for more information. Our brand new, low profile ‘LPB’ range of LED beacons are now available. Each LPB beacon is manufactured with 12 x 3W ultra-bright LEDs and amber models are ECE R65 approved (double flash only). Blue, green and red lenses are also available for the LPB range. 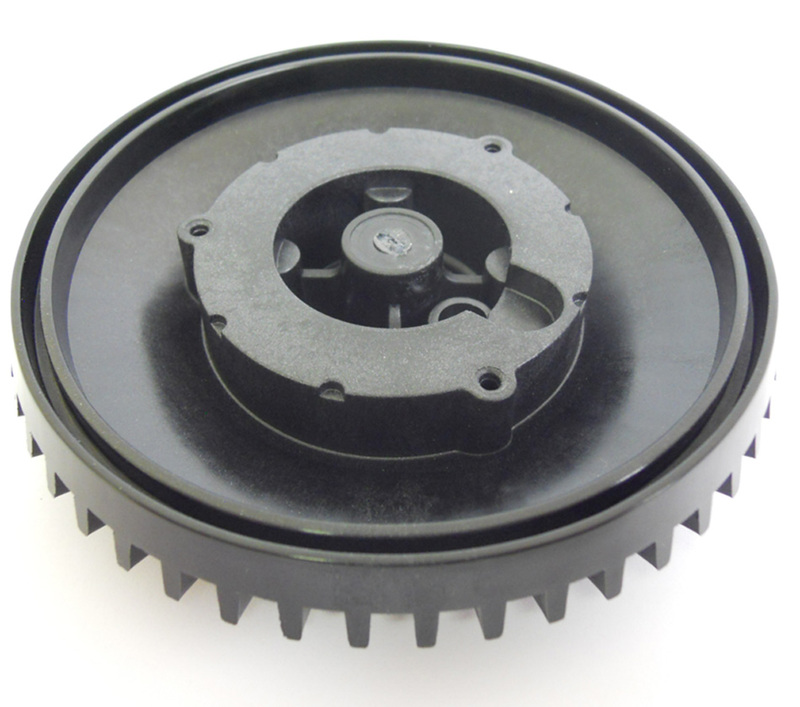 The low profile and discreet design means the new LPB range is ideal for a variety of vehicles and applications. Each beacon also features an integral switch to choose between the 3 flash patterns. Check out page 19 of the 2017-2018 catalogue, contact your nearest distributor or call our sales team who are ready to help with any questions. 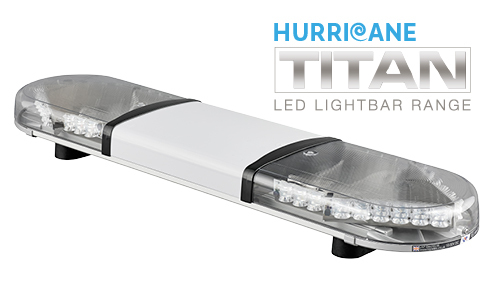 Our new Tornado TITAN LED lightbar is now available. The newest addition to the TITAN lightbar family, the Tornado meets R65 approval and has been designed with a taller lens compared with the Classic TITAN and Lightning TITAN lightbars. 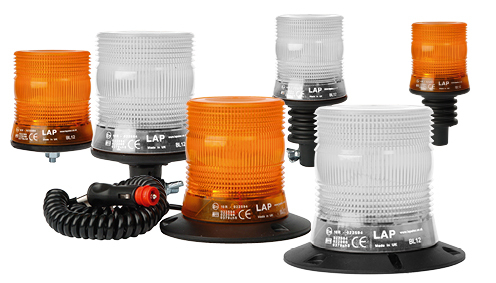 Optional extras such as hazard lights, stop/tail/indicator lights and illuminated/opaque centres are all available. Each LED module has an impressive 45 x ultra bright amber LEDs with a unique reflector style for excellent light dissipation. Designed and manufactured in the UK, the complete TITAN lightbar family is available in various lengths to suit any vehicle and application. Our new and popular LTB range of LED beacons are now available with green lenses. 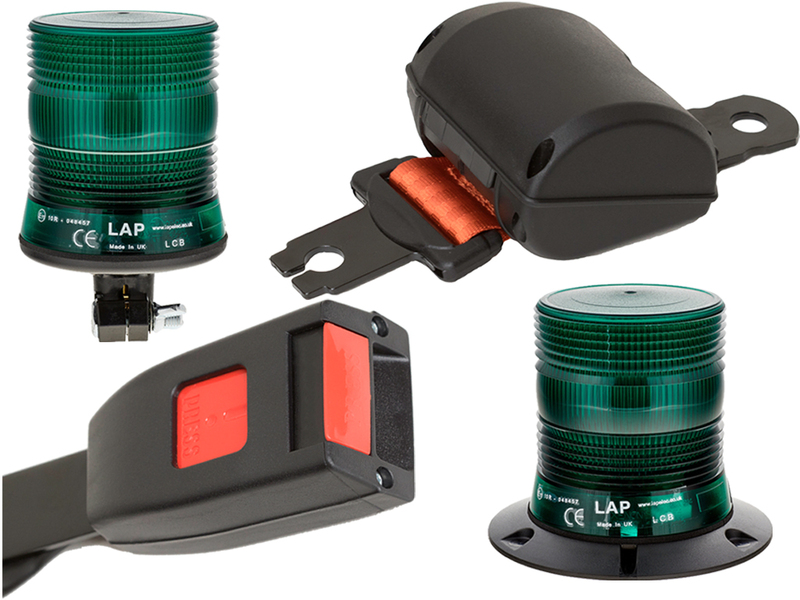 The green version of the LTB beacon does not have R65 approval but the 45 ultra-bright LEDs and unique optics provide an impressive light output and can be used on their own or as part of a seatbelt kit. Full product information for the LTB range can be found on page 18 of the 2017-2018 catalogue. Alternatively please contact us or your nearest distributor if you have any questions. We are pleased to announce the release of the our new, multi-frequency reverse alarms. Available in 87dB and 92dB models, the RA/MF reverse alarms are designed to cut noise pollution in enclosed workspaces and residential areas. The multi-frequency sound is can also be easily located to give people an advanced warning to where the potential danger is. The multi-voltage alarm (12-80V), complete with the extreme temperature reliability, means this new alarm is perfect for a wide range of vehicle and applications. Please contact your nearest distributor or LAP directly for more information. Introducing the new, economical LTB range of ECE R65 approved LED beacons. The unique reflector, combined with 45 x ultra-bright LEDs, provide excellent warning light that is R65 approved (double flash only). EMC (ECE R10) approved and meeting IP56 international protection standards, this new range of LED beacons is also programmed with a simulating rotating flash pattern. 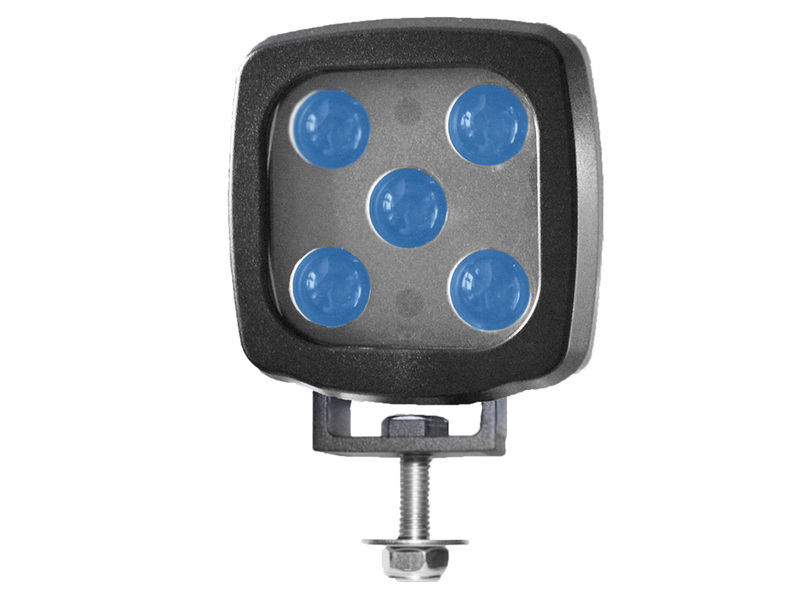 We are pleased to announce the release of our new heavy-duty LED warning module. The DLED6A is ECE R65 & EMC (ECE R10) approved and is manufactured with a hard-wearing aluminium base, ideal for minimising the risk of damage by impact. Manufactured with 6 x 3W amber LEDs and a polycarbonate lens, the DLED6A meets IP67 international protection standards. Up to 4 x DLED6A can also be linked for synchronised or alternate flash. Please click on the DLED6A datasheet below for more product information. Alternatively, check out the full LED Module section or page 60 in the new 2017-2018 product catalogue. 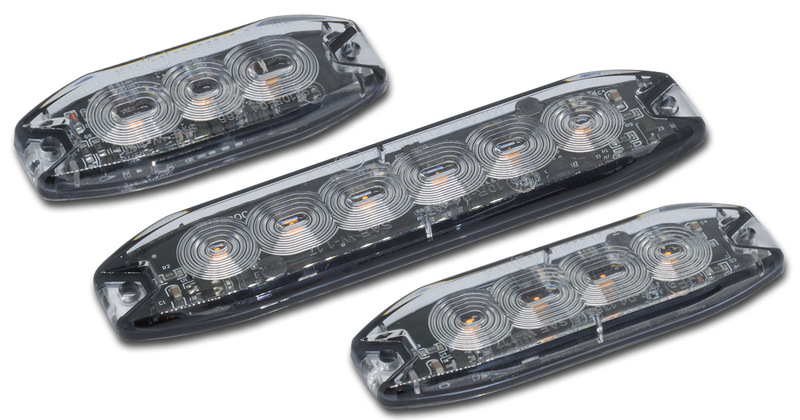 Our new LAP1030 range of ECE R65 approved mini LED lightbars is now available. Compact design at only 248mm x 171mm, the new, low profile LAP1030 range is available with clear or amber lenses. 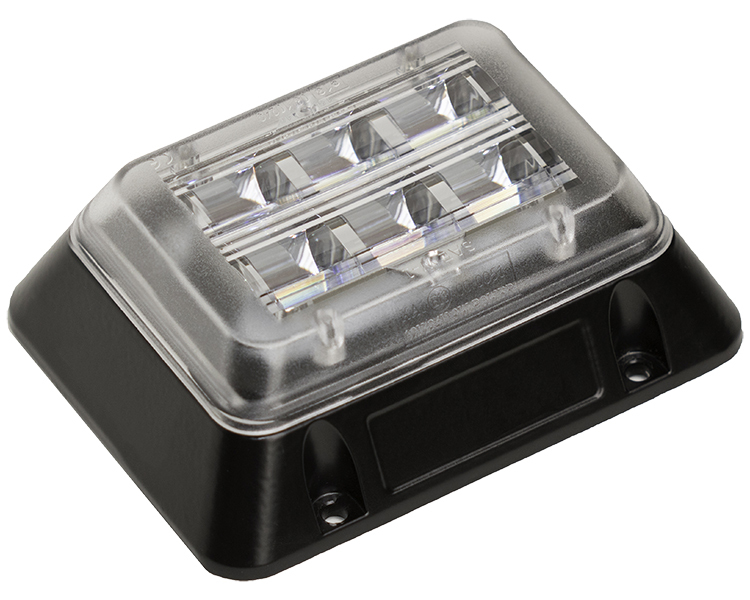 Each lightbar is manufactured with 30 x 3W ultra-bright LEDs and is available in magnetic and single-point fixings. We are pleased to announce the release of our new CLED6A corner LED warning module. New for 2017, the CLED6A provides ECE R65 approved light output and multiple units can be mounted on each corner of a vehicle to provide 360° of visual warning. The economical CLED6A is ideal for vehicles with roof mounted equipment such as ladders and roof-racks and is manufactured with 6 x 3W amber LEDs. With an aluminium housing, the CLED6A is hard wearing and is supplied with an ‘L’ shaped fixing bracket. An optional variable angle mount bracket (63201424) is also available. Our new complete SBK seat belt kits are now available. Supplied with seat belt, buckle and green LCB beacon, this kit is perfect for plant machinery and other site vehicles. The LED180 series is our brand new LED module that displays a wide 180° of amber warning light for greater safety and visibility. Available in amber and clear lenses, the LED180 is EMC R10 approved and has 3 x ECE R65 approved flash patterns (single, double and quad). The newest addition to the TITAN lightbar range is now here. The Lightning LED lightbar is designed and built to your exact requirements and is available with amber LED/clear lens or white LED/amber lens combinations. 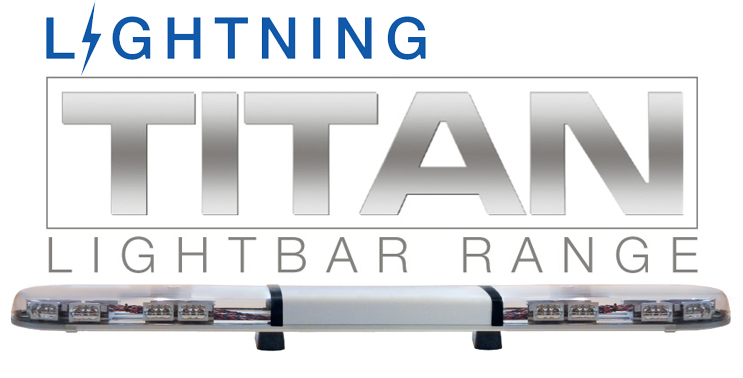 Dual voltage (12/24V), EMC (ECE R10) and manufactured with 4 x ECE R65 approved flash patterns, the Lightning TITAN lightbar is manufactured at LAP in the same 6 lengths as the standard TITAN and Rotating TITAN lightbars. Additional optional extras such as stop/tail/indicator, hazard, centre illumination and sign writing are all available. For any combination queries or more product, technical or pricing information, please contact your nearest LAP distributor. Introducing the new RCB040LED, the LED version of the popular RCB040 flexi ‘agri’ beacon. Manufactured with the same flexible stem and durable polycarbonate lens as the rotating version, the RCB040LED is perfect for applications that experience high levels of vibration such as agricultural, plant and contracting vehicles. Introducing the newest addition to our ECE R65 approved lightbar range; the Rotating TITAN lightbar. 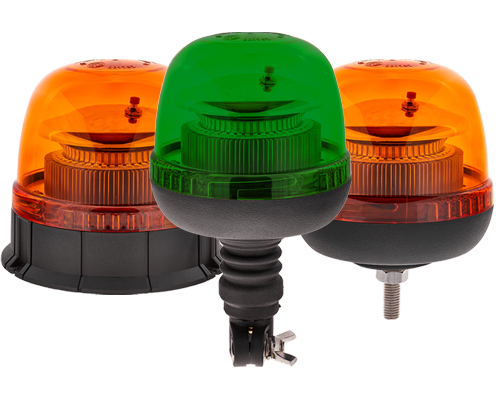 Designed to fully utilise the robust technology of our rotating halogen beacons, the new Rotating TITAN provides a cost effective way of adding ECE R65 approved visual warning to vehicles of any size. Just like the LED TITAN range, the new Rotating TITAN can be customised and supplemented with front/rear facing directional LED hazard lights, stop/tail/indicators, alley lights and centre illumination with sign writing also available. For more information please click on the link below to see the Rotating TITAN section taken from our new 2016-2017 catalogue. Alternatively, please contact your nearest distributor or LAP directly. We are pleased to announce the release of our new ECE R65 approved mini lightbar, the LAP1220R65 range. The dual voltage (12/24V) LAP1220R65 is available in MAGNETIC and SINGLE POINT, permanent fixing models. The new lightbar has exactly the same dimensions as the existing and very popular LAP1220 range at only 297mm (length) x 175mm (width) x 53mm (height). 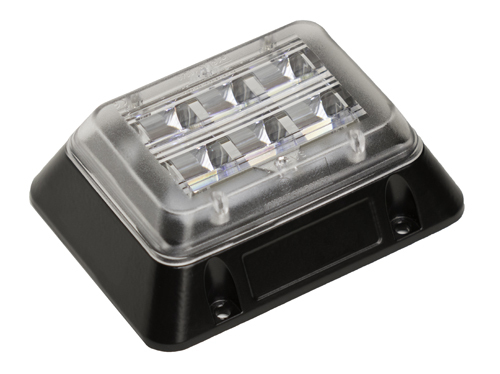 The new R65 version however, is manufactured with 20 x 3W white LEDs, giving a superior warning light with single flash meeting ECE R65 approval. Please click on the link below for more information. Alternatively contact your nearest distributor or contact LAP directly for more information. 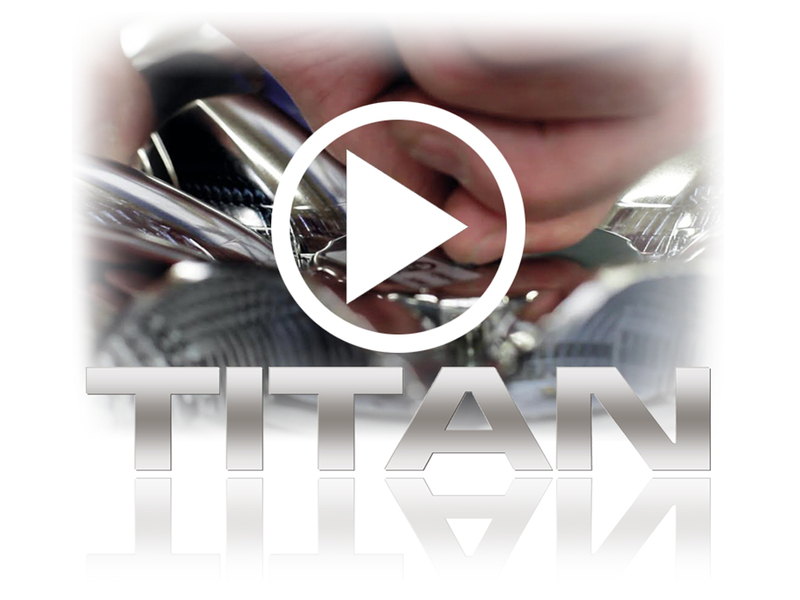 Click here to watch our new TITAN LED lightbar YouTube video. This short video gives a brief overview on the construction, build quality and the possible combinations available with optional extras. 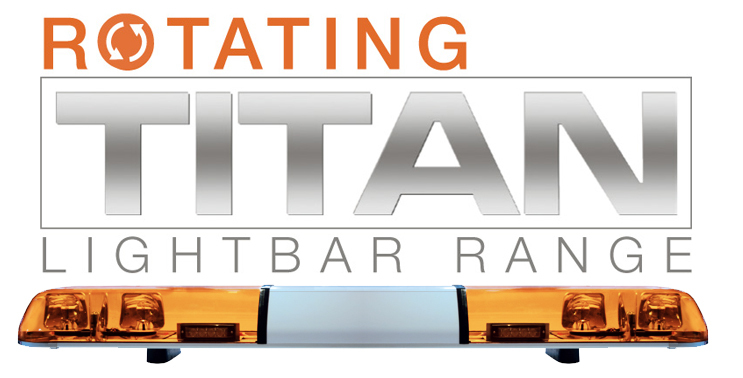 Please contact us directly for more information on the TITAN lightbar. 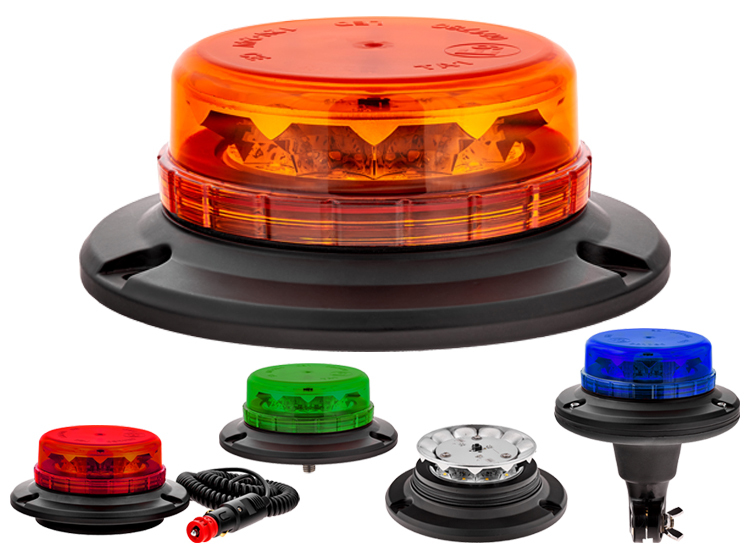 We are pleased to announce that our SQ4A amber warning light is now ECE R65 approved. 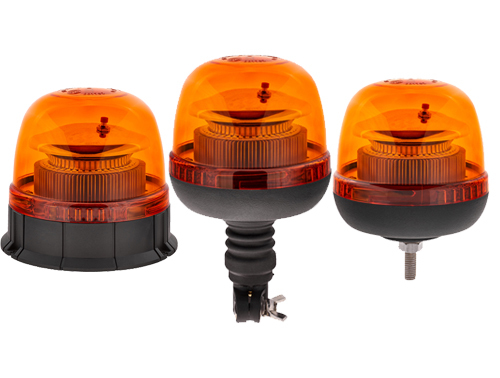 At only 72mm (length) x 72mm (height) x 28mm (width), the already popular SQ4A is manufactured with 4 x 3W LEDs, providing an excellent amber warning light. The dual voltage (12/24V) SQ4A is supplied with a ‘U’ shaped bracket and an optional ‘L’ shaped bracket is available. Multiple units can be linked for synchronised flash or alternate flash with ‘double flash’ meeting R65 approval. The new FKL15B blue warning light, specifically designed for forklift trucks and other vehicles in loud working environments, gives prior warning to pedestrians about the close proximity of these vehicles. The warning is supplied by the 5 x 3W bright, blue LEDs illuminated onto the factory floor, warehouse aisle or even builders’ yard.